Ring in 2014 with a bit of good fortune in this delicious New Year’s cocktail recipe. Bright red pomegranate juice gets playful fizz from bubbly Prosecco. Add pomegranate juice and sugar to a small saucepan and simmer over medium low heat. Simmer until reduced about 1/3. (You want the juice thickened but not too syrupy.) Allow to cool. 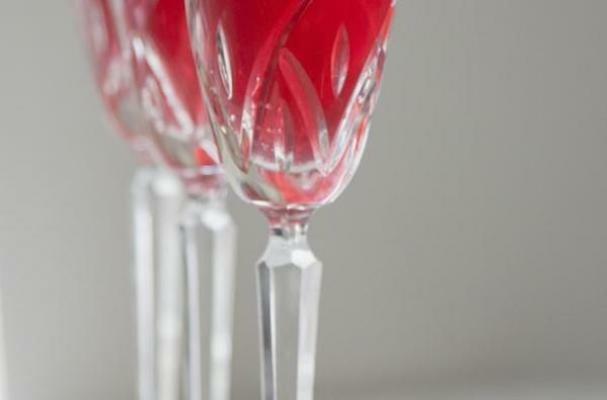 Pour a bit of the pomegranate syrup into a champagne flute. Top with Prosecco and add a few pomegranate seeds as garnish! You can coat the rim of the glass with (red) sugar for a festive touch!